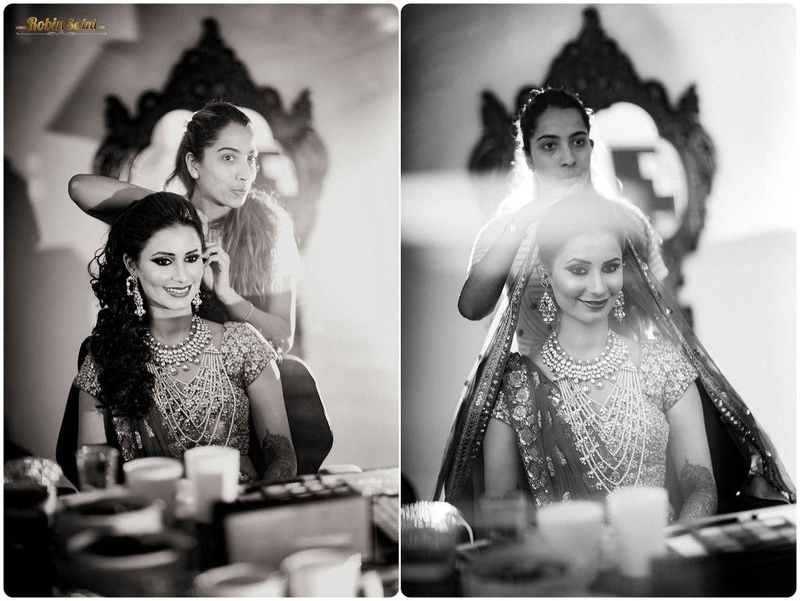 To call the bride gorgeous would be an understatement, to call this wedding grand, would be one too. 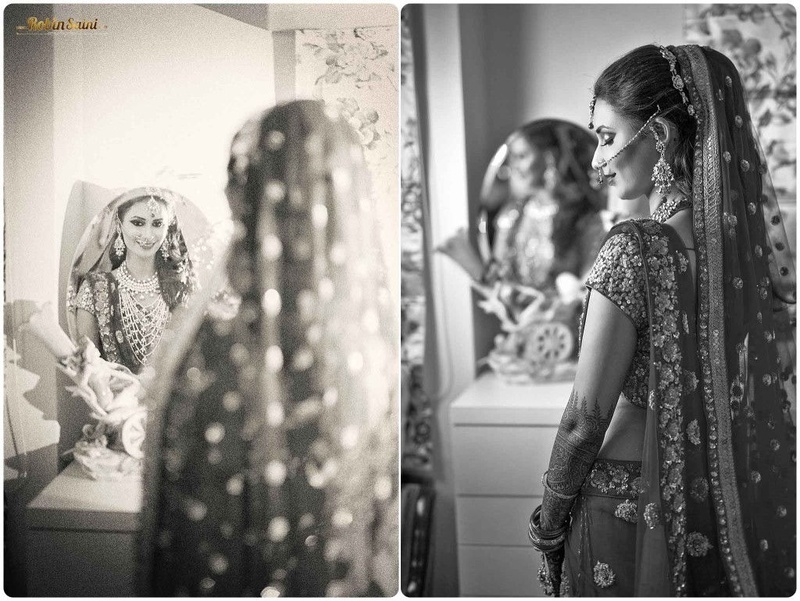 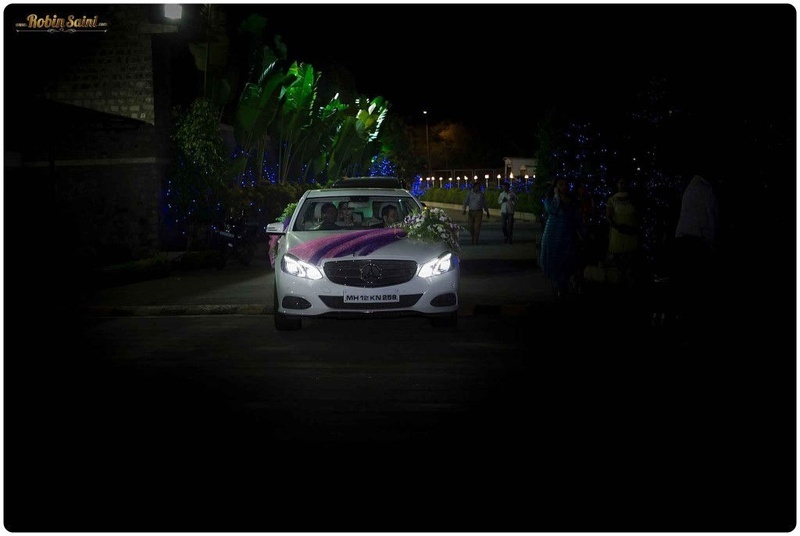 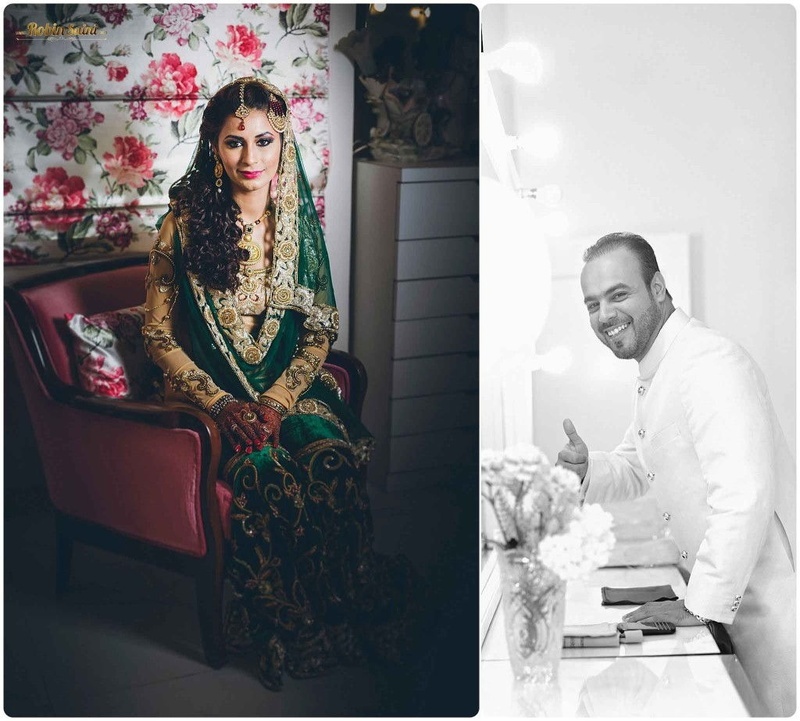 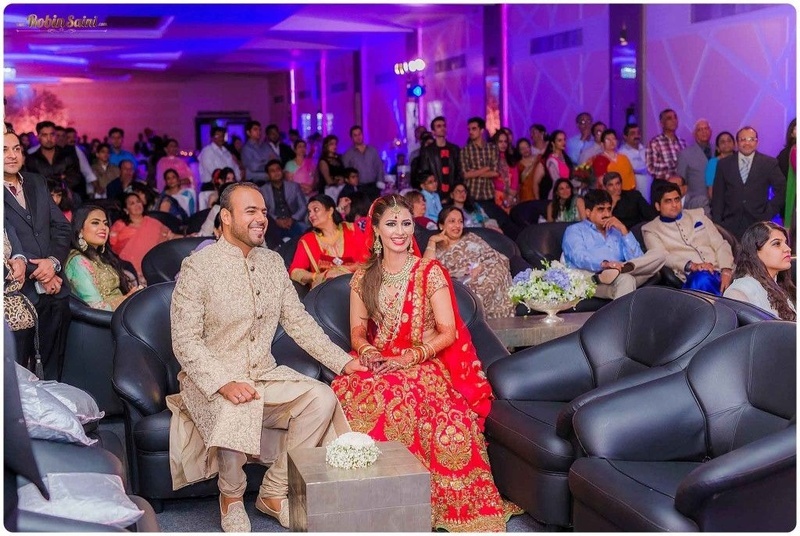 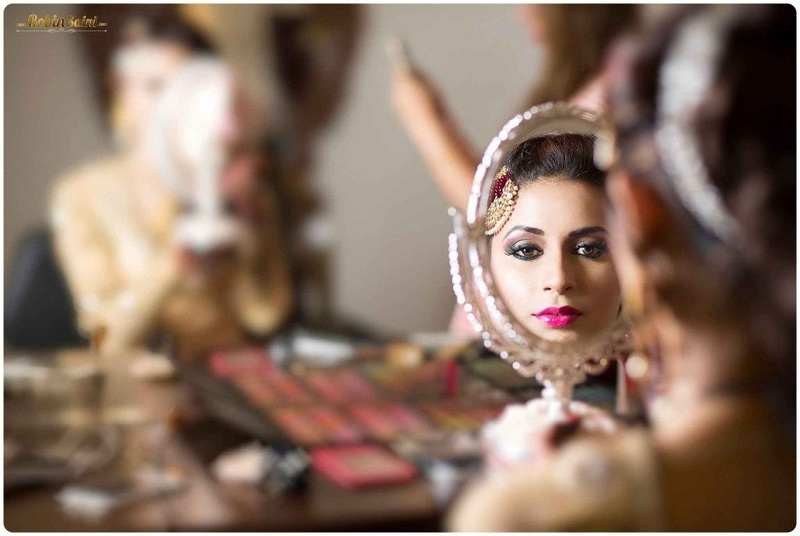 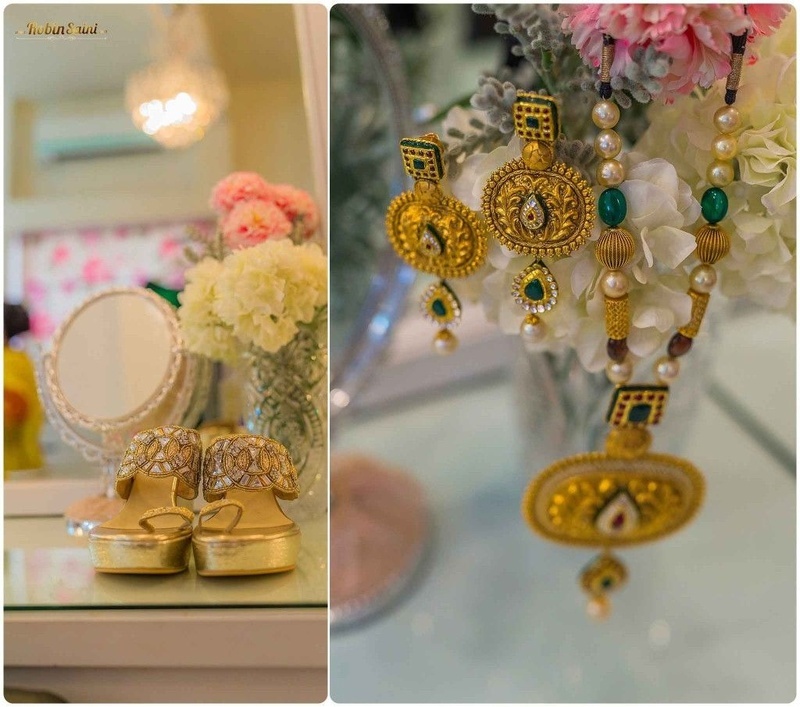 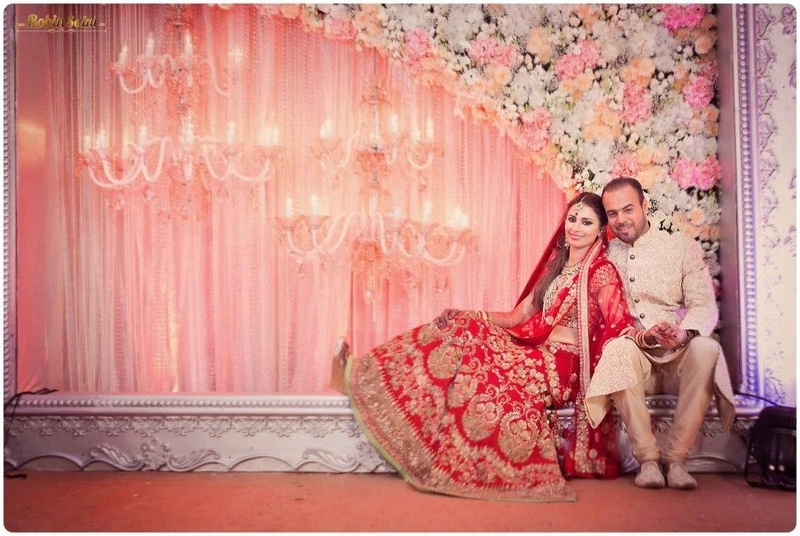 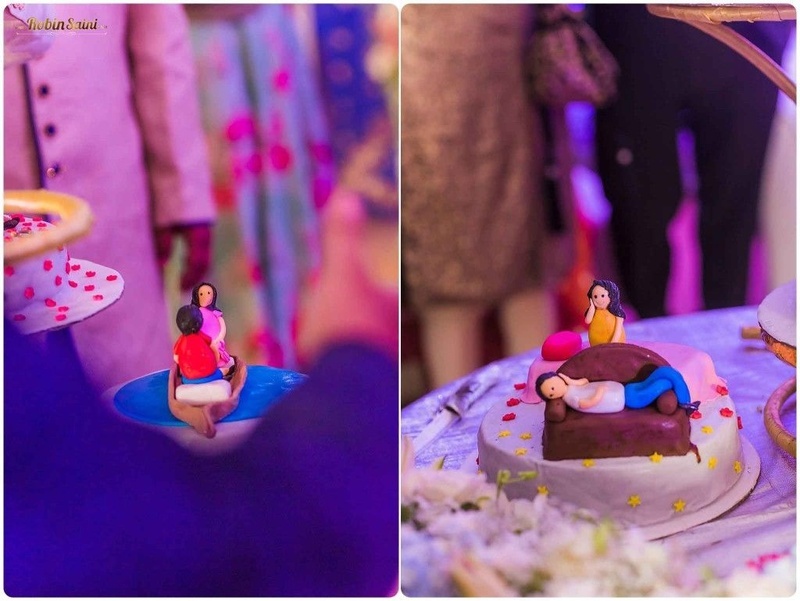 Javed and Elisha’s wedding affair was one that gave us some serious wedding inspiration. 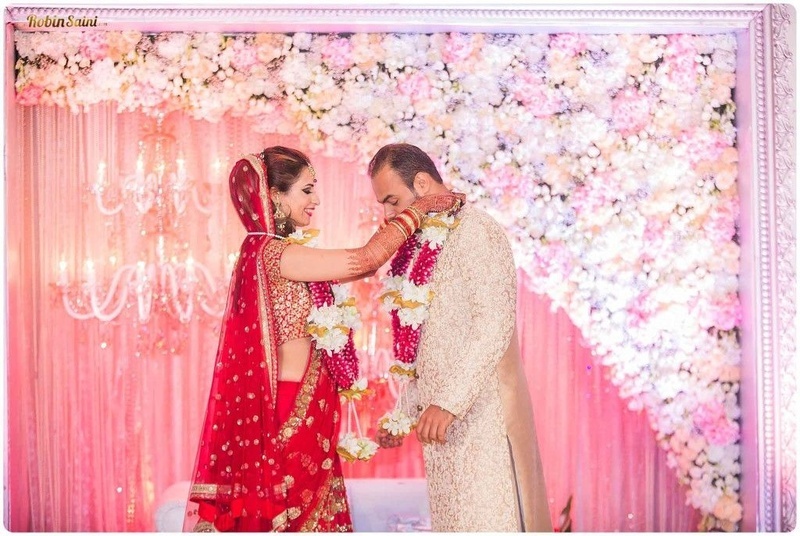 The floral walls, pink-hued chandeliers and crystal strings made this marriage an absolutely classy affair. 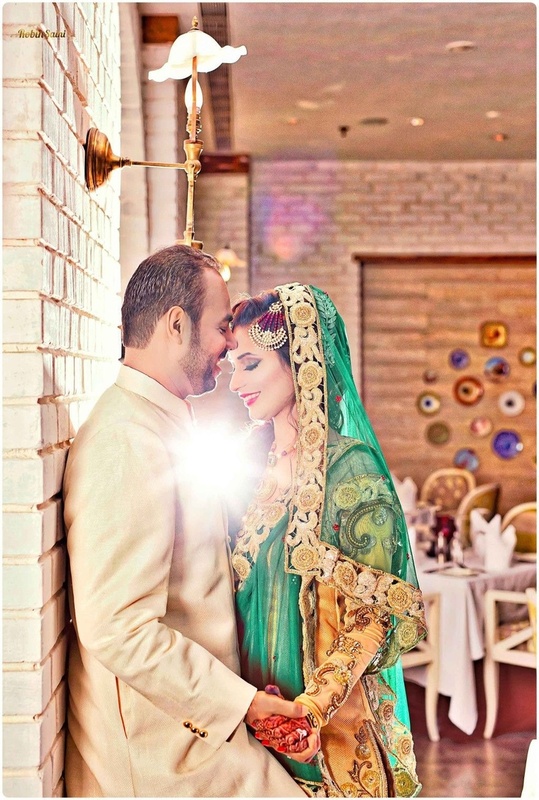 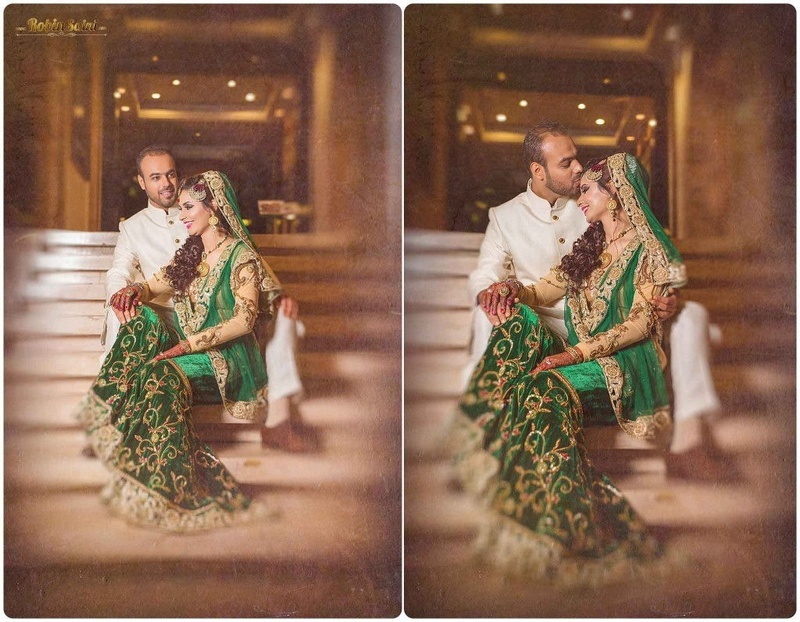 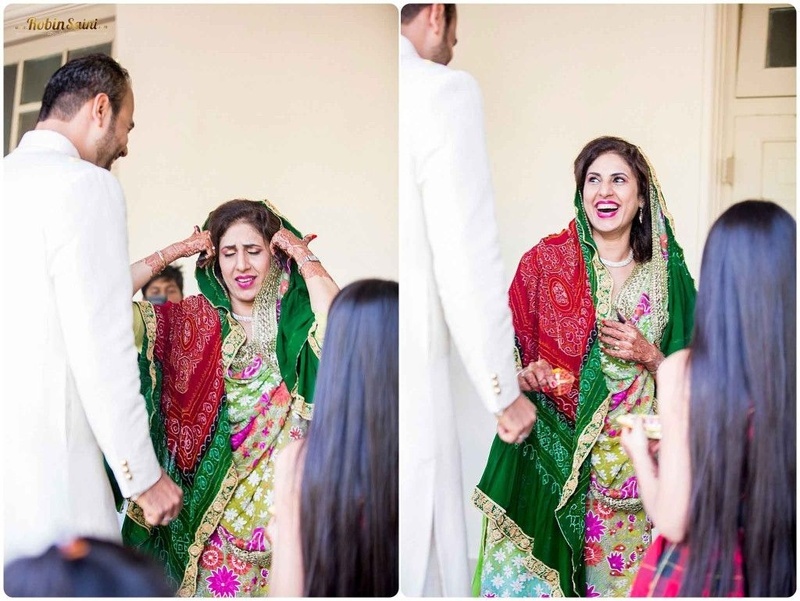 Elisha opted to wear an exceptional velvet green gharara and kameez for the Nikaah. 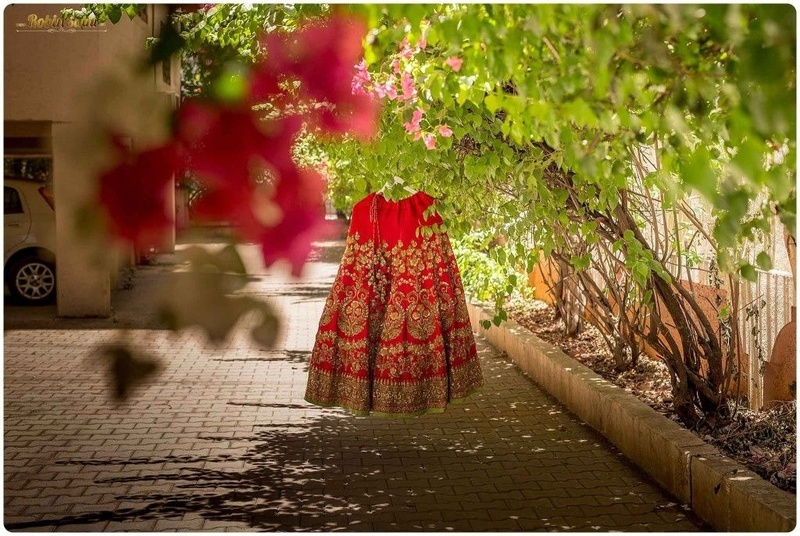 Her outfit was intricately embroidered with zardozi and gold sequins in gorgeous floral designs. 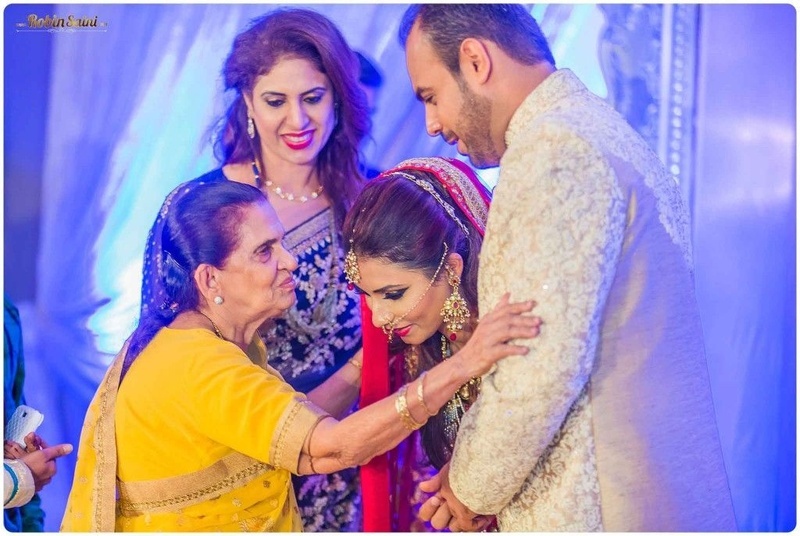 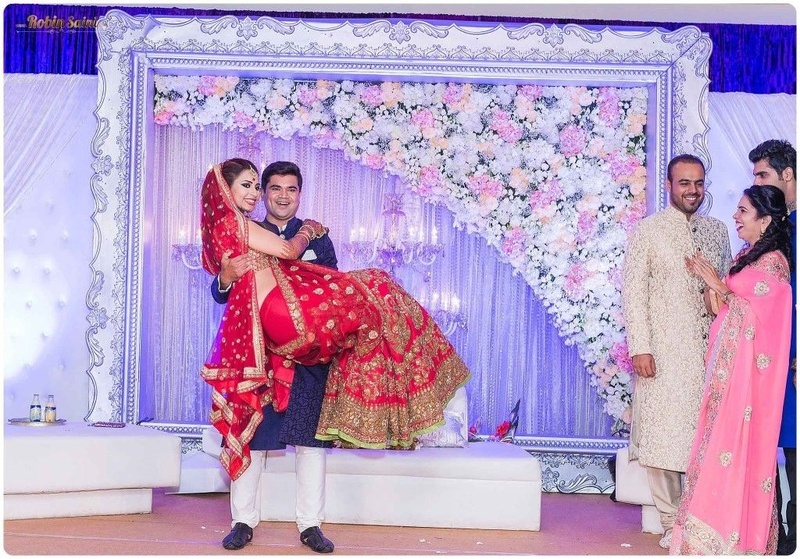 She elegantly draped her sheer dupatta over her head and accessorised her look with traditional gold jewellery that was studded with red and green beads – but what we loved most about her entire bridal ensemble was the ethnic jhoomer she wore! 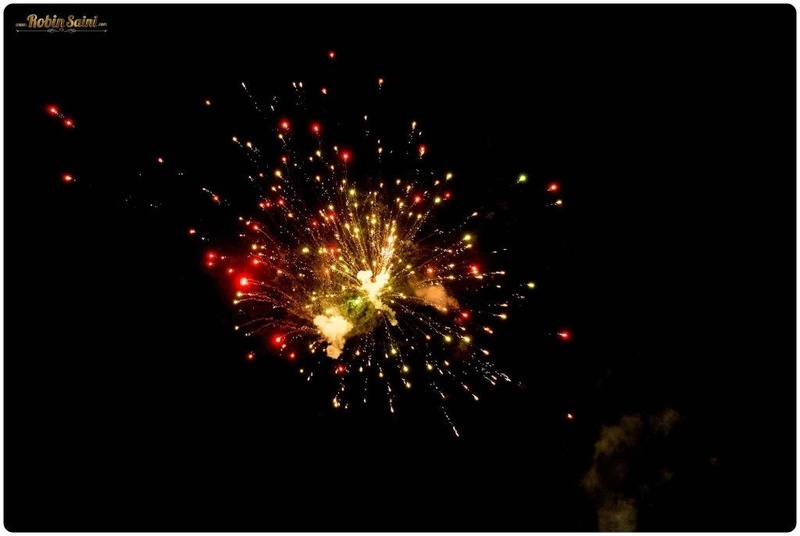 We were completely mesmerised. 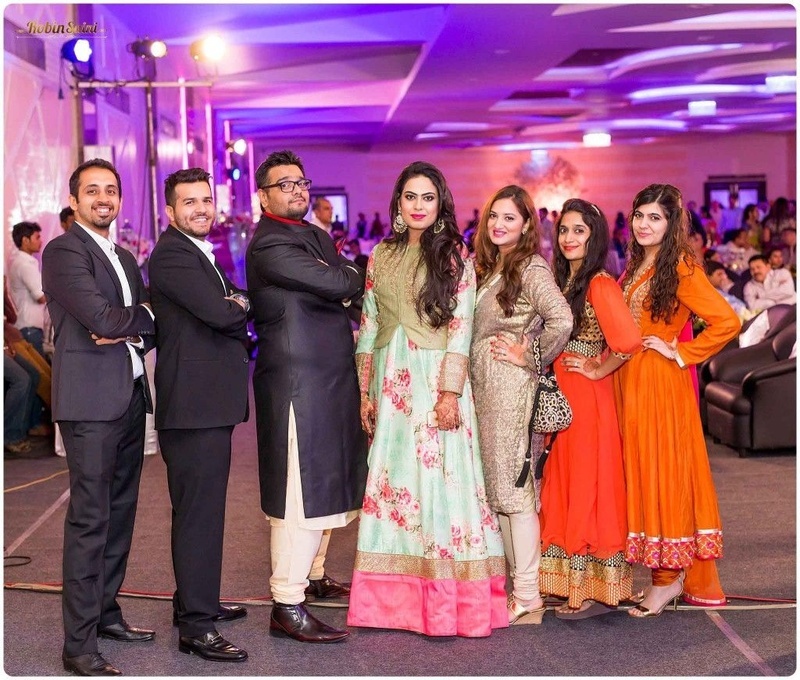 The handsome groom was not too far behind in the fashion quotient. 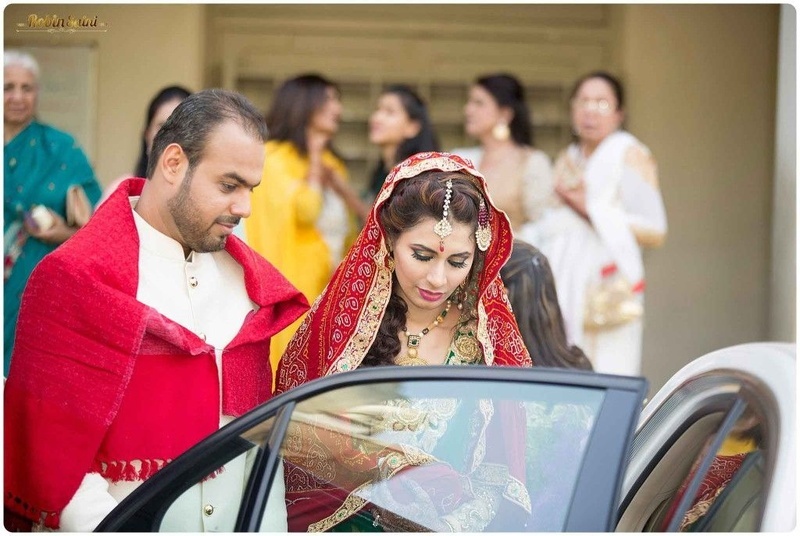 He wore a chic ivory gold, buttoned achkan and styled it with a red pocket square, complementing his beautiful bride just perfectly. 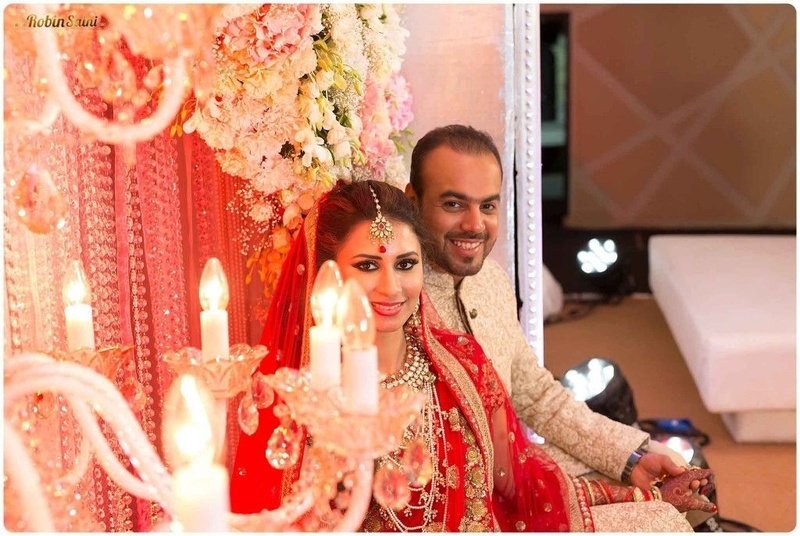 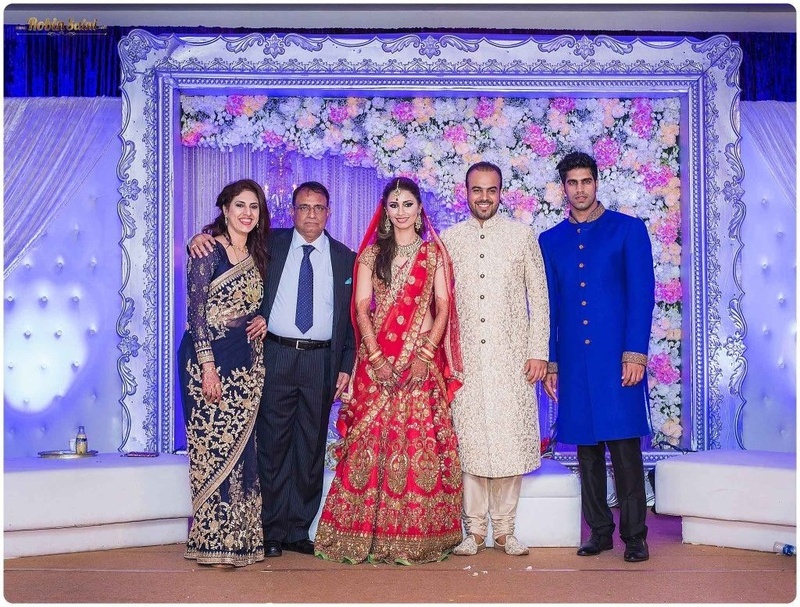 Their Walima stage had a stunning fresh flower wall and glass chandeliers lit up with pink and blue-hued lights. 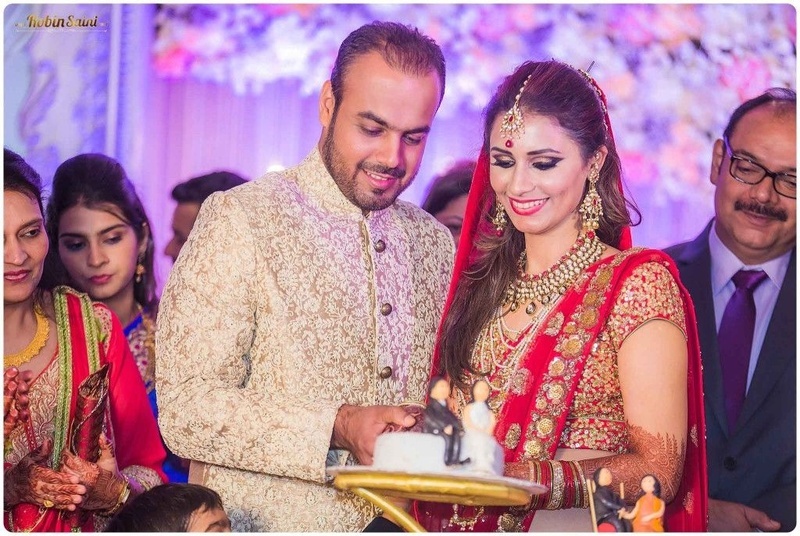 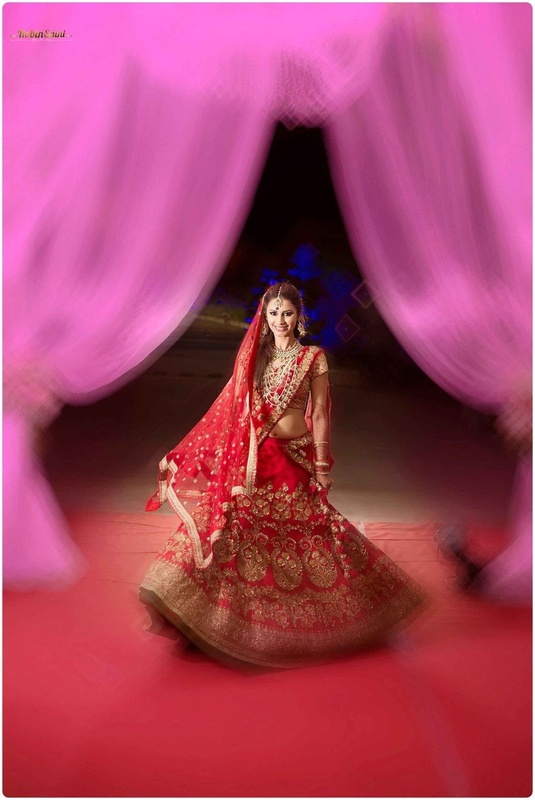 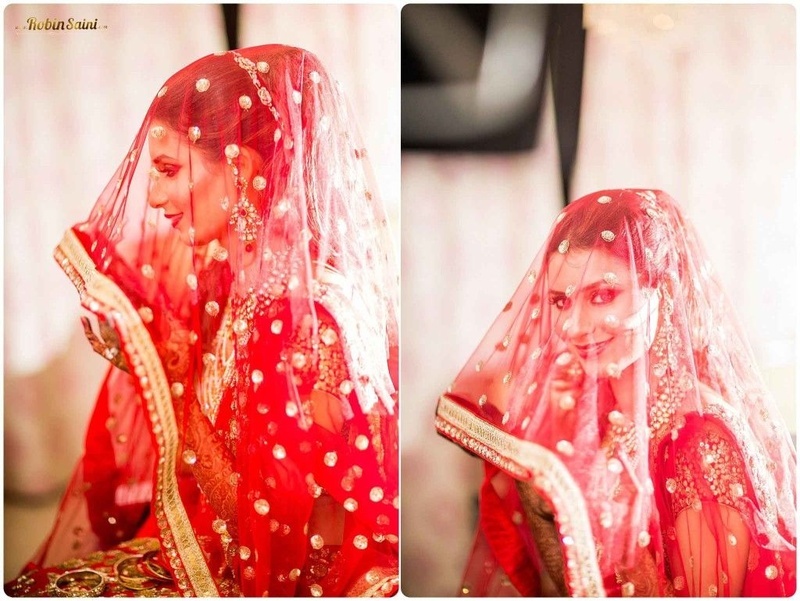 Elisha donned a classic red and gold Sabyasachi lehenga that had gold sequined motifs. 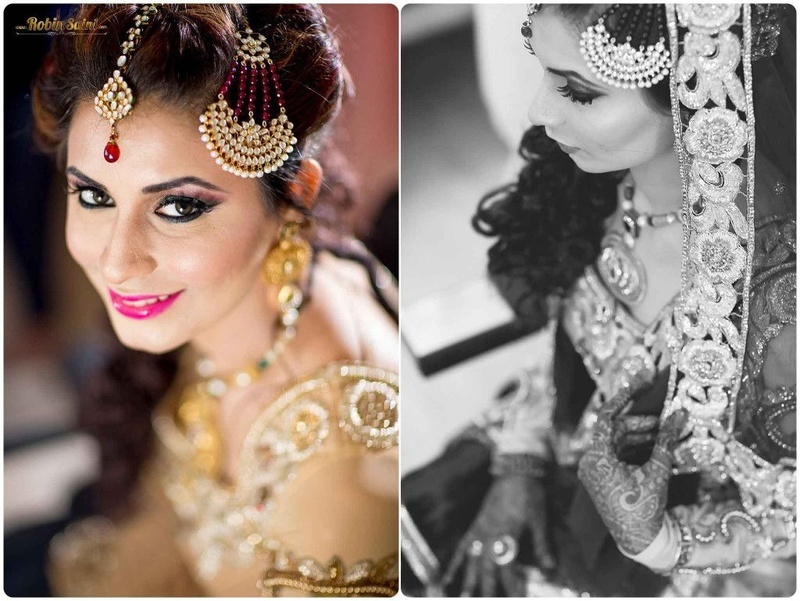 Her bridal jewellery made her look like a character straight out of Ashutosh Gowariker’s Jodha-Akbar. 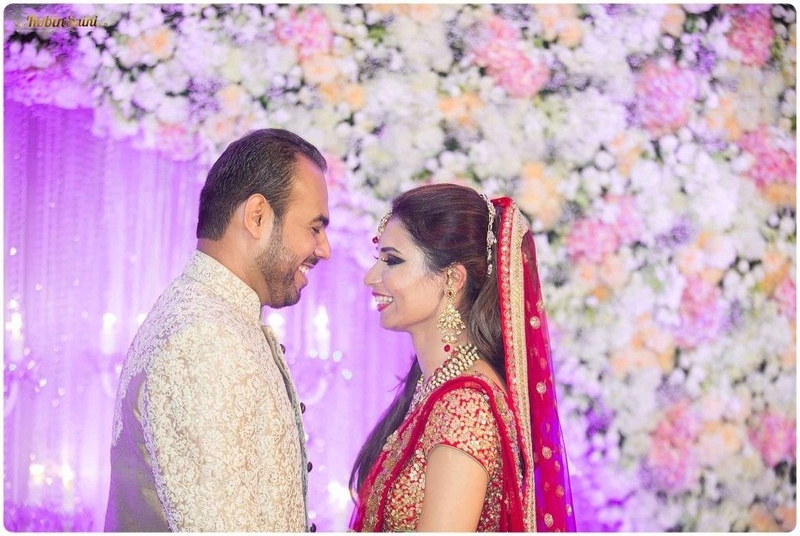 Her regal polki choker and multi-strand rani haar embellished with shiny white pearls truly made her look like an Indian Princess, and Javed looked like her ideal prince in his heavily embroidered white and gold sherwani with dull gold button details. 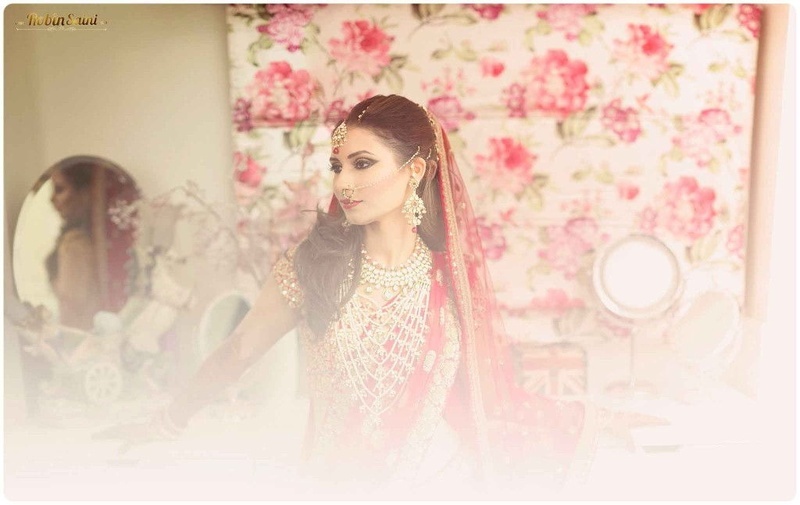 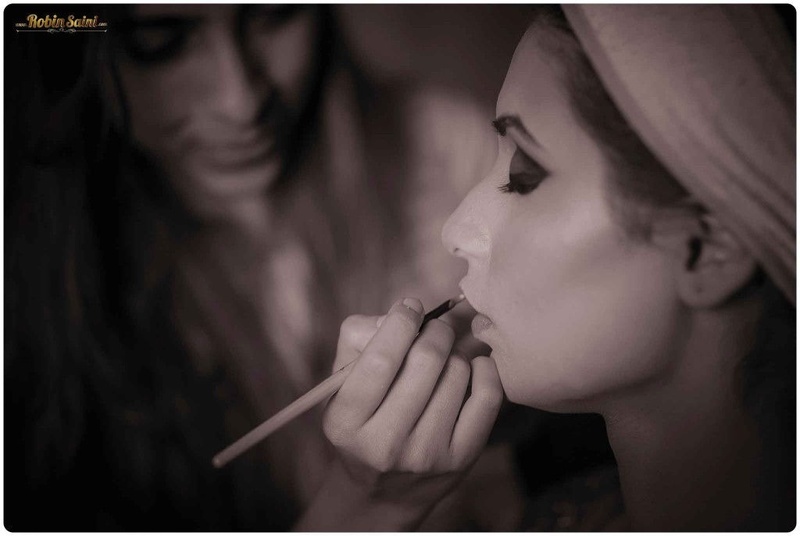 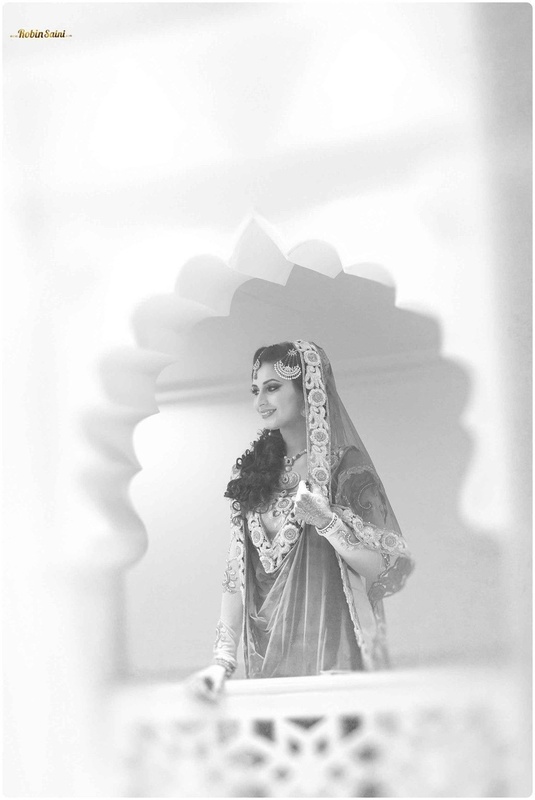 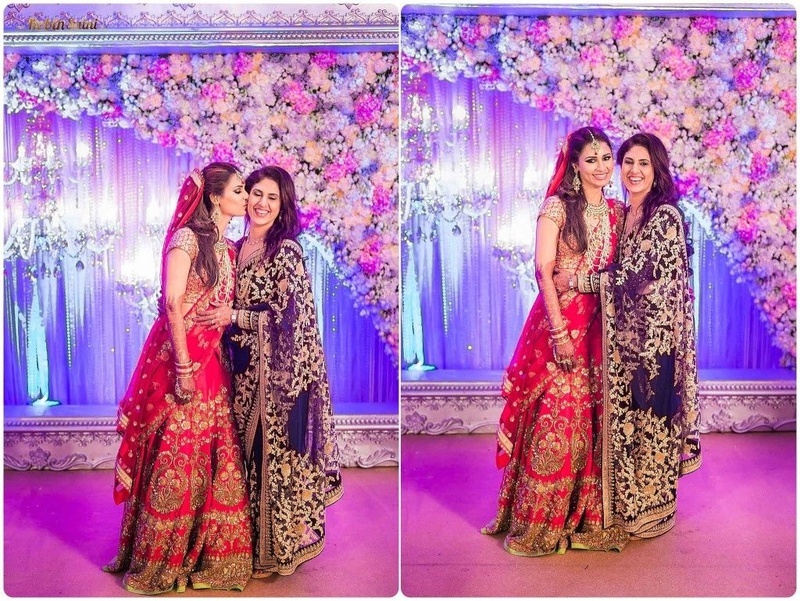 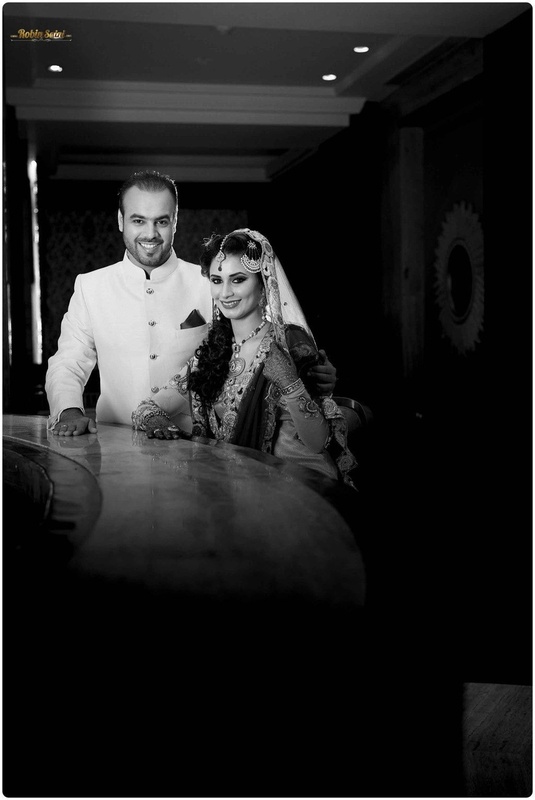 Robin Saini shot every stunning image at Javed and Elisha’s union with unmatched precision and style. 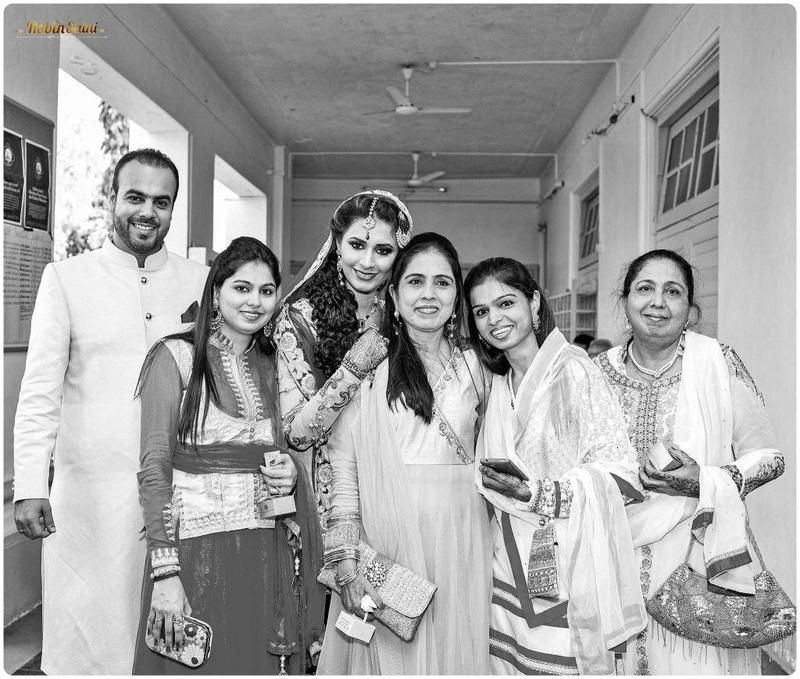 His skill coupled with a keen eye for detail made their wedding album one that they’ll cherish for generations to come!